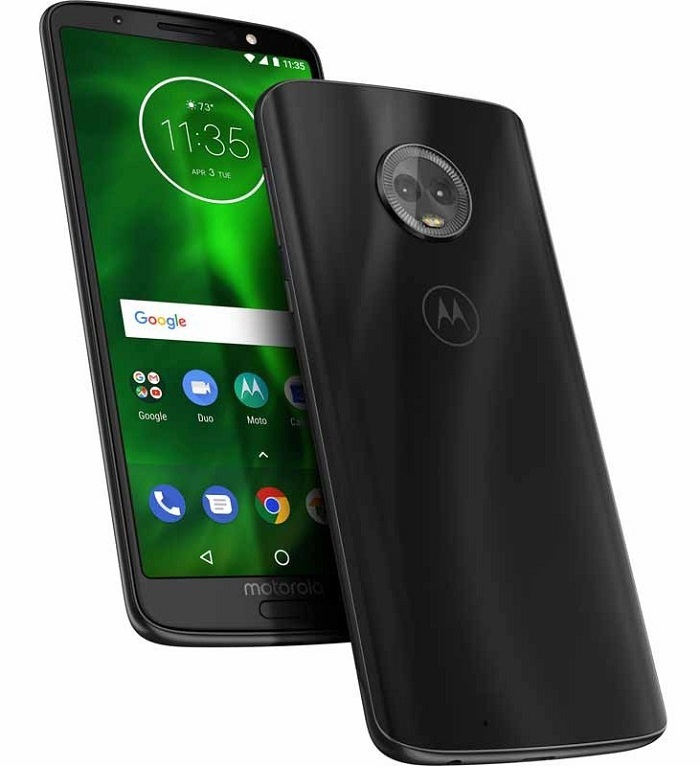 Motorola announced the latest smartphones Moto G6, G6 Plus and G6 Play in the Moto G6 series at an event in Brazil. All these three new Motorola smartphones are launched with 18:9 displays, fingerprint sensor and Android 8.0 Oreo. The Moto G6 and the Moto G6 Plus are also having P2i water-repellent nano coating. The mobile sports a 5.7-inch Full HD+ 18:9 IPS display with a resolution of 2160 x 1080 pixels. It is powered by 1.8GHz Octa-Core Snapdragon 450 14nm Mobile Platform with Adreno 506 GPU and runs on Android 8.0 (Oreo). The device comes in two variants 3GB RAM with 32GB internal storage and 4GB RAM with 64GB internal storage, the storage memory can be expanded up to 128GB using microSD card. It has dual rear cameras the primary is 12MP with LED Flash, and secondary is 5MP. The mobile supports 4G VoLTE, WiFi 802.11 a/b/g/n (2.4 GHz + 5 GHz), Bluetooth 4.2, GPS, USB Type-C. It has 3.5mm audio jack, Front-ported loud speaker, Dolby Audio, 3 mics. It also has Single / Dual SIM and Fingerprint sensor. The mobile packs 3000mAh battery with Turbo charging and it has size measurement of 153.8 x 72.3 x 8.3 mm and weight 167g. 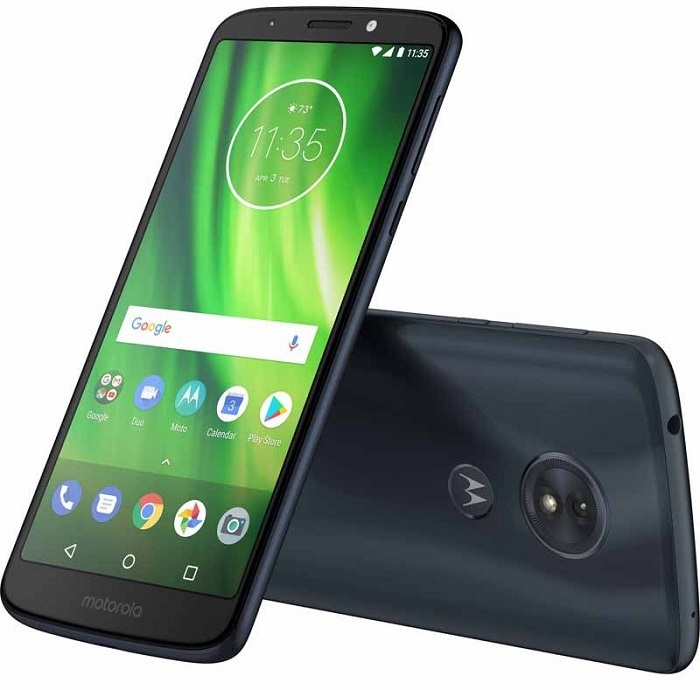 The Moto G6 smartphone price starts at US$ 249 (Rs. 16,437 approx.) and it comes in Deep Indigo, Oyster Blush, Black and Silver colors. The mobile sports a 5.93-inch Full HD+ 18:9 IPS display with a resolution of 2160 x 1080 pixels. The device comes in two variants 4GB/6GB RAM with 64GB internal storage, the internal storage memory can be expanded up to 256GB using microSD card. The mobile supports 4G VoLTE, WiFi 802.11 ac (2.4 GHz and 5 GHz), Bluetooth 5 LE, GPS, GLONASS, NFC, USB Type-C. It has 3.5mm audio jack, Front-ported loud speaker, Dolby Audio, 3 mics. It also has Single / Dual SIM and Fingerprint sensor. The mobile packs 3200mAh battery with Turbo charging and it has size measurement of 160 x 75.5 x 8.0mm and weight 167g. The Moto G6 Plus smartphone price starts at €299 (US$ 370/Rs. 24,430 approx.) and it comes in Deep Indigo and Nimbus colors. It is powered by 1.4GHz Octa-Core 64-bit Snapdragon 430 (MSM8937) Mobile Platform with Adreno 505 GPU and runs on Android 8.0 (Oreo). The device comes in two variants 2GB RAM with 16GB internal storage and 3GB RAM with 32GB internal storage. The mobile supports 4G VoLTE, WiFi 802.11 b/g/n, Bluetooth 4.2, GPS. It has 3.5mm audio jack, Front-ported loud speaker, Dolby Audio, 2 mics. It also has Single / Dual SIM and Fingerprint sensor. The mobile packs 4000mAh battery with Turbo charging and it has size measurement of 154.4 x 72.2 x 9 mm and weight 175g. 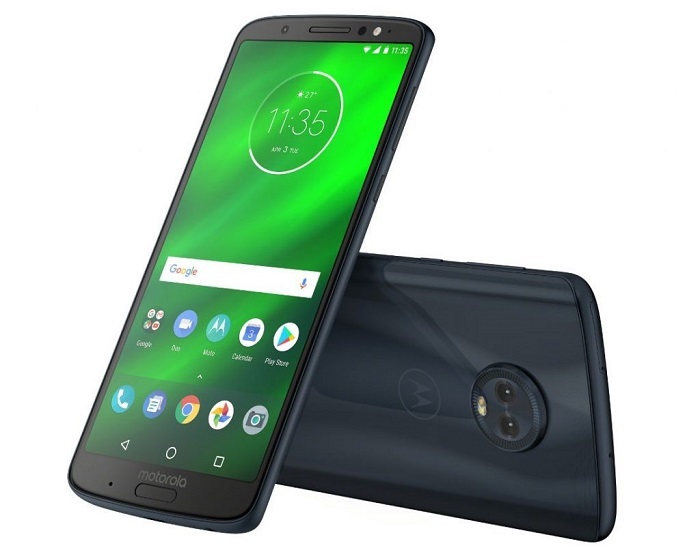 The Moto G6 Play smartphone price starts at US$199 (Rs. 13,130 approx.) and it comes in Silver, Gold and Deep Indigo colors. 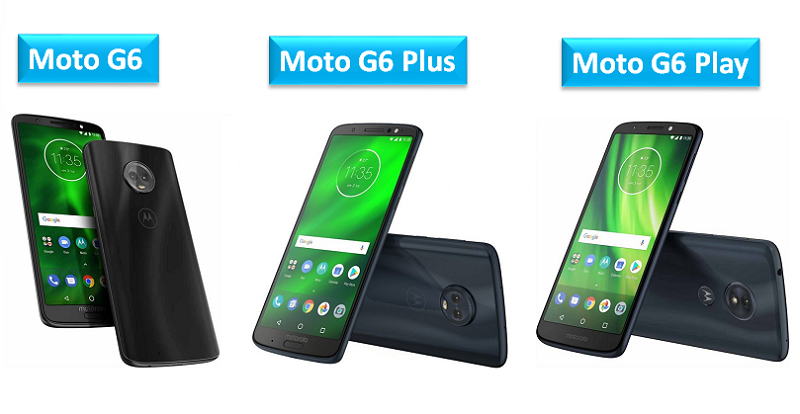 All these new Motorola smartphones Moto G6, G6 Plus and G6 Play will be on sale starting today in Brazil and next week in Mexico. The roll out of these three smartphones in Asia Pacific, Europe, Latin America and North America is in coming months. Share us your views on the Moto G6, Moto G6 Plus and Moto G6 Play smartphone in the comments section below.